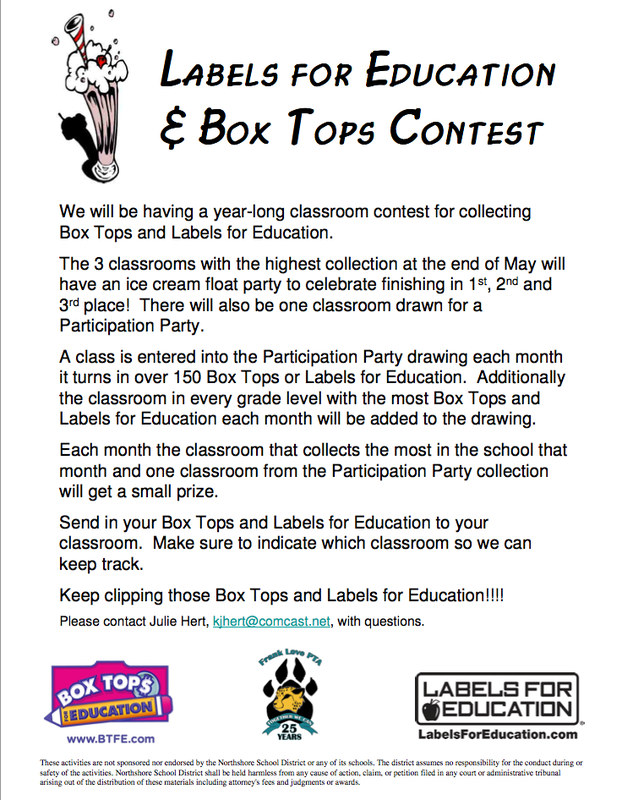 Congratulations to Ms. Bollinger’s Kindergarten classroom for turning in the most Box Tops and Labels for Education during November and will receive the monthly highest collection prize. And Ms. Erickson’s 1st grade class was drawn to receive the monthly classroom participation prize. For the year-long contest, Mr. Adams’ class is currently in 1st place, followed by Ms. Rosevear’s class in 2nd place, and Ms. Cullom’s class in 3rd place.